Anti-vaxxer trolls on Facebook are not who you might think: the majority are mothers who either support Donald Trump or Bernie Sanders. The US is in the midst of measles outbreaks, which are striking 15 states, and driven by growing anti-vaccine sentiments. Social media has helped the movement to gain momentum, and anti-vaxxers often flock to any content related to shots and attack, leaving a slew of comments objecting to the scientifically-proven preventative measures. The contemporary anti-vaccine movement may have begun with a now-debunked study suggesting shots cause autism, but the new University of Pittsburgh study reveals that anti-vaxxers concerns have evolved. In order for vaccines to protect a population from diseases, between 90 and 95 percent of that group needs to have gotten their shots. But in 2017, just 70 percent of toddlers between 19 and 35 months old had received all of the vaccinations recommended by that age by the Centers for Disease Control and Prevention. Vaccines are one of the greatest advances of modern medicine, rendering life-threatening disease that could reach epidemic proportions into rarities in the US. And now the undoing of that progress is considered one of the greatest threats to public health in the US. Just as diseases like measles spread from person to person as they come into contact with one another misinformation acts as a social contagion, and the internet puts fringe groups in closer contact than ever. Anti-vaxxers can quickly thwart the efforts of public health experts and officials to educate the public about the importance of immunizations. In 2017, a Pittsburgh-area pediatrics practice made an informational video about the HPV vaccine, featuring its doctors encouraging the public to get the shots to help reduce their risks of HPV-related cancers. It took a month for anti-vaxxers to find the post on Facebook, but once they did, thousands flocked to the page, leaving anti-vaccination comments. 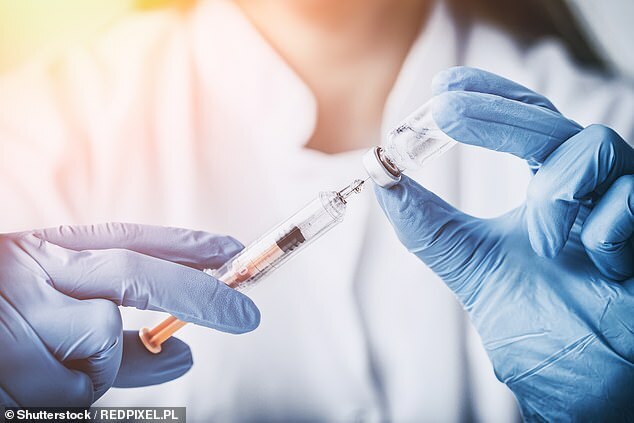 The practice, which is connected with the University of Pittsburgh, reached out to its research arm, hoping that studying these comments would give some insight into who anti-vaxxers are, and how to counteract the information the are receiving and disseminating. Looking at a random sample of almost 200 of the posts, the research team found that the majority of the posts came from mothers. Although political affiliations were not always clear, 56 percent of anti-vaxxer comments on the HPV video came from Donald Trump supporters. 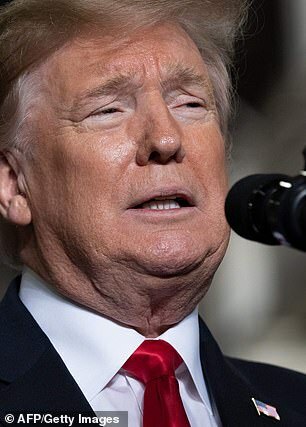 Trump himself has said that he’s not anti-vaccination, but has been vocally critical of what he’s referred to as ‘over-vaccination’ or the practice of giving young children several vaccinations at once. The website Trump Twitter Archive has logged 31 tweets related to vaccines, although he’s gone quiet on the subject since 2014. Bernie Sanders supporters were also more likely to make anti-vaccine comments, accounting for 11 percent of those on the HPV video. 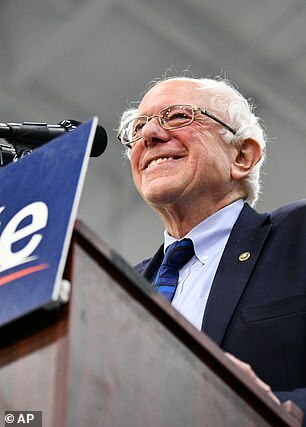 Though Sanders has never expressed any anti-vaccination sentiments, he has come under fire for his support of alternative medicine and has a voting record that shows his wariness of technology and certain scientific advancements. Moreover, both Sanders and Trump attract radicalized voters who are skeptical and distrustful of ‘the establishment,’ including anti-vaxxers. ‘This is not a monolithic group, but they can all be reached with the same message,’ says lead study author Beth Hoffman, a graduate student in the school of public health. The University of Pittsburgh team identified that this distrust and suspicion of science and doctors was one of the top themes running through the anti-vaccine comments. They were also largely believers in alternative medicine, wanting to find ‘natural’ options to replace vaccines. Many were still concerned about the safety of vaccines, despite repeated confirmation that shots are safe and do not cause autism. Still others were wrapped up in conspiracy theories, believing that information was being withheld from them as a means of manipulation. Some of these people even believed that the polio virus doesn’t exist. ‘Understanding these clusters and differences helps us understand that there are very different markets to address,’ explains Dr Brian Primack, senior study author and directer of the school’s Center for Research on Media, Technology and Health. Those who are wary of vaccines because they suspect government conspiracy or that shots are just a money-making scheme for doctors are more likely to align themselves with Donald Trump, for example. On the other hand, those whose concerns are over putting something unnatural in their bodies are more likely to side with Bernie Sanders. And those two groups have to be treated a bit differently. ‘If you say to natural folks, “don’t worry, there’s no government conspiracy,” you’ve not only not addressed their concern, you might have given them a new one, inadvertently,’ Dr Primack says. In other words, public health officials could take a cue from marketing and from anti-vaxxers themselves about how to get the message that vaccines save lives to spread far and wide, but in a form that uniquely appeals to each hesitant group.